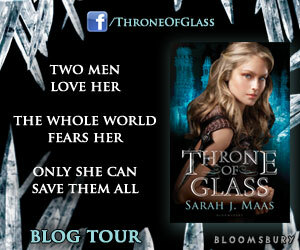 Short & Sweet Reviews is proud to be a stop on the Throne of Glass blog tour! Check out our review below, and then make sure you see what all of the other stops have to offer for this fantastic new book. Finally! A heroine in a fantasy book who doesn't make me want to throw the book against the wall. Perhaps I've just read a string of bad books, but I was almost despairing for a feisty female lead who was competent and smart and didn't throw everything away in the name of insta-love. Celaena Sardothien finally filled those shoes, and she did it well. 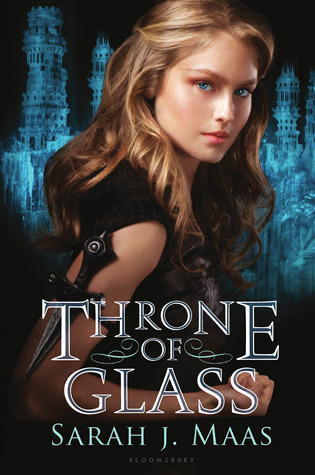 Throne of Glass tells the story of Celaena, who is dragged out of slavery to fight in a competition to become the king's champion -- the same king who sentenced her to jail. Knowing that serving someone distasteful is still better than dying in the salt mines, Celaena agrees. It doesn't help that, even after a year of hard labor, she still knows that she can beat anything this competition throws at her. She is very young, but she is the best assassin in the realm, and she wants her freedom very, very badly. Along the way, she makes friends and enemies, and while the book plays up the love triangle aspect, she never makes stupid decisions because she's busy swooning over a guy. In the end, Celaena makes a choice that just made me want to cheer. I won't spoil it, but I honestly wanted to applaud what I thought was an awesome decision, and one you don't see too often in books (either YA or general fiction). The characters in this book aren't anything out of the norm that you see in other fantasies -- the flirtatious prince! the stoic captain of the guard! jealous court ladies! people with secrets! 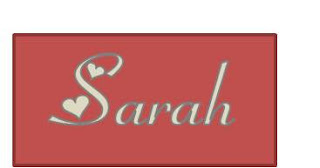 -- but Sarah J. Maas manages to package them all up into an incredibly appealing package. They might fit common archetypes, but the characters are all well rounded and I found myself constantly trying to guess -- often with little success -- exactly where the plot twists were going to wind up. I wish there would have been more details on Celaena's backstory, but then I found out that there were a series of ebook prequels that did just that. I'm also going to assume that her background will be more fleshed out in future books. I really enjoyed this book and would recommend it to anyone who likes fantasy and strong female lead characters. I look forward to future books in this series and will definitely be checking them out! LOVE this book so much! I'm glad you did too, your right, Celaena is an awesome character and I can't wait for the next book! OOh I can't wait to read this! Glad I stopped by today and saw this. OOooooh. Throne of Glass is definitely up next for me. I've heard so many good things, and it's about assassins. C'mon! How cool is that? Do you like the paperback cover change?